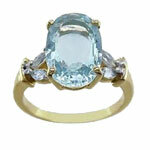 Aquamarine is a semi-stone (up-ratna) of Venus (Shukra). 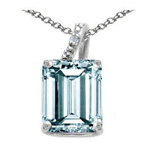 It is named for the Latin phrase "water of the sea", this gem is a blue to blue-green variety of the mineral Beryl. 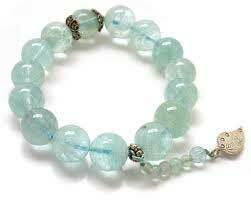 It pacifies anger & avoids re-pregnancy. 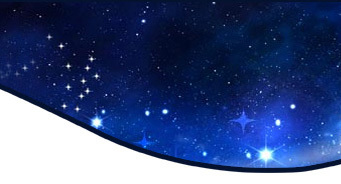 If a bridegroom presents it to his bride, it brings happiness & prosperity in their life. It enhances sexual power.